So your most stylish friend just moved into a new apartment—or, if we're getting really fancy, her first home. Now, you just need to find a housewarming gift that's equal parts fashionable and practical. Not an easy task, we'll give you that, but we're certain you're up to it. In need of a little guidance? We've combed the web (and the Instagram feeds of our favorite bloggers) to find 13 items to dress up her shelves, organize her jewelry, stash her trinkets, and give her space a little extra style. Keep scrolling to shop our fashion-girl's guide to housewarming gifts. 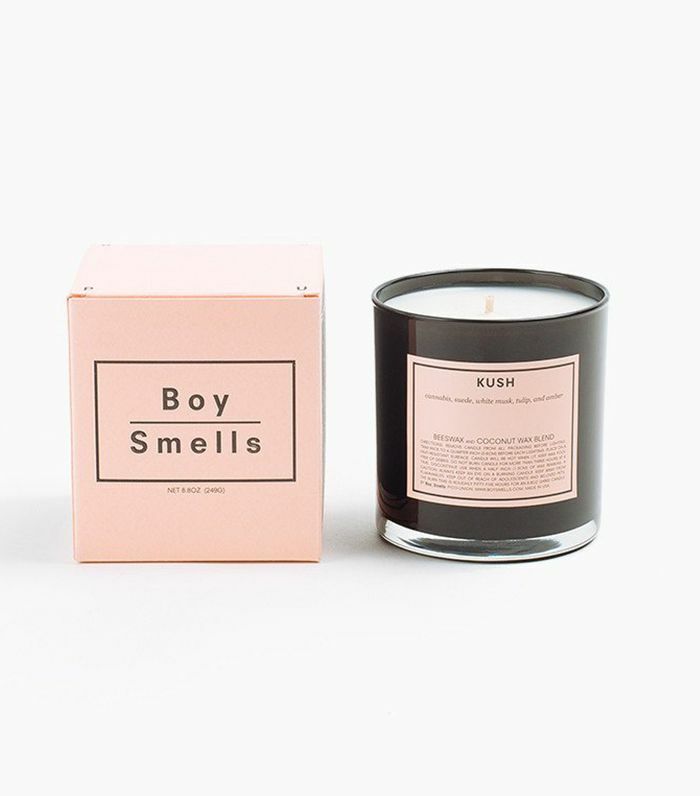 Between the winking name and millennial pink packaging, this candle is made to be 'grammed. Support a women-owned small business and give your friend an excuse to buy herself some fresh flowers (even if they're of the corner-deli variety). Not only are basket bags trending hard for summer, they look just as great perched on a shelf as a planter. Fashion's favorite fragrance is now a crazy-chic laundry detergent (and no, we didn't think we'd ever be calling detergent "chic" either). You may not be able to get her the Dionysus bag she's been coveting, but you can help her brush up on her history of the house. Found: the perfect dish to store those rad Open House face earrings. Give her sofa a little personality—even if it's the same IKEA one all your friends own. Those succulents need a cute little nesting place—and what better than a faux pineapple? This feline catchall will keep her dainty rings in one place. Up her shelfie game with a luxe candle that doubles as a makeup-brush holder when it's finished. Full of gorgeous photos of found objects, travel destinations, and, of course, jewelry, this tome is sure to inspire. Next, see the eight-piece wardrobe every French girl swears by.